For over 70 years CABTC has helped Clevelander’s learn to train their dogs. We welcome all breeds, including mixed breeds. Our instructors are accomplished trainers who are current on the latest techniques and our beautiful indoor facility is fully matted for your dog’s comfort and safety. Our up-to-date training equipment lets you train the right way. Classes are forming continuously. We average 24 classes per week and, space permitting, additional classes are scheduled on an as-needed basis. Please note that not all classes are available every evening – so please call or visit our website for a schedule. Please note that registrations are not final until your completed and signed application and payment is received in the CABTC office. For the safety, enjoyment and efficiency of the learning process, handlers must bring small, soft (easy to swallow) training treats and/or favorite toys, use lots of praise, and keep a respectful distance between your dog and others to relieve stress. Join us on the 3rd Thursday of January, March, May, July, September and November for a Membership Meeting. Social Networking begins at 6:30 PM, followed by Membership Meeting and program at 7 PM. Board meeting follows at approximately 8:30 PM, unless otherwise noted. Board Meeting only begins at 6:45 pm in February, April, June, August and October. 2017 – Still going strong!! To promote the training of dogs and handlers. To disseminate the latest knowledge regarding dog training. To conduct classes focused on the the training of dogs and their handlers. To encourage the training of instructors & judges. 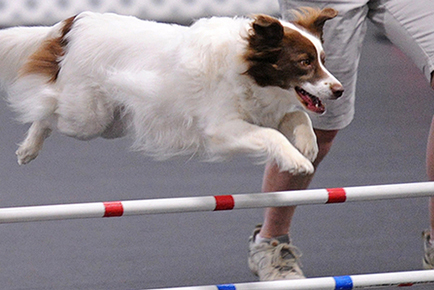 To hold & support obedience trials, agility trials, tracking tests, sanctioned matches and other activities under the rules and regulations of the American Kennel Club.